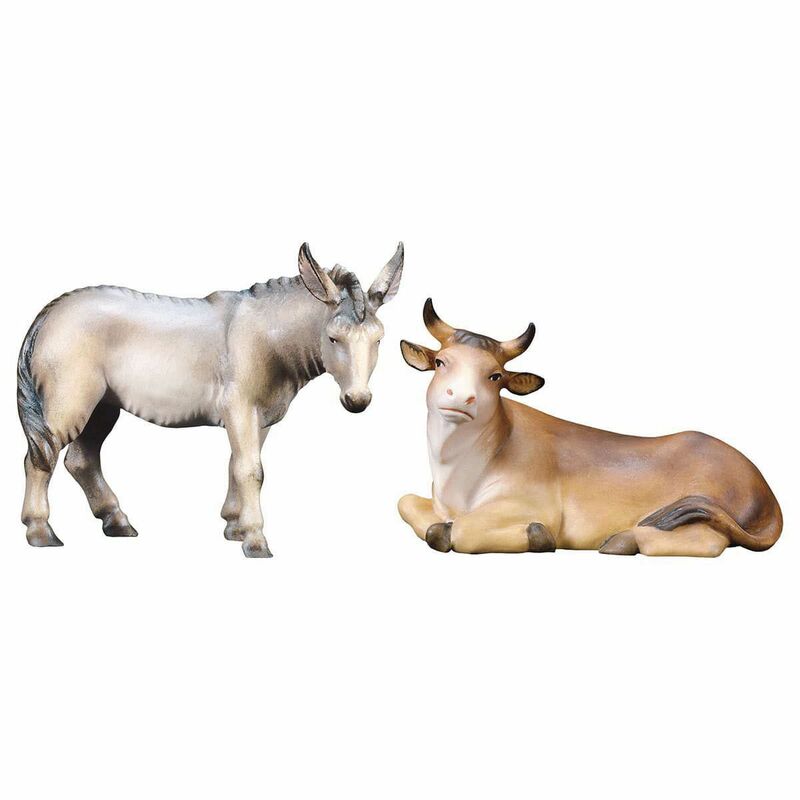 Ox and Donkey 2 Pieces - Statues in traditional style in maple wood. Italian nativity scene hand painted with oil colours by the master craftsmen of Val Gardena (Trentino Alto Adige, Italy). A piece of art from the centuries-old Tyrolean tradition of wood carving. 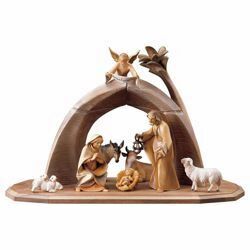 The Val Gardena handcrafted wooden nativity scenes (Ortisei Trentino Alto Adige, Italy) are refined collector's items appreciated all over the world. Statues are distinguished by the warmth and naturalness of faces and by the traditional costumes, faithfully reproduced in every detail. The size refers to the scale of the crib and not to the individual statue. Each piece is finished and painted by hand, therefore photos may differ in some detail. Made in Italy. 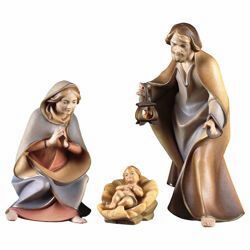 Holy Family 4 pieces - Statues in traditional style in maple wood. 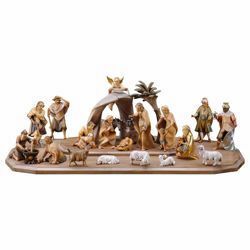 Saviour Nativity Set 11 Pieces - Statues in traditional style in maple wood. 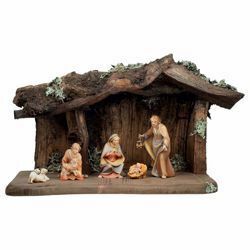 Saviour Nativity Set 25 Pieces - Statues in traditional style in maple wood. 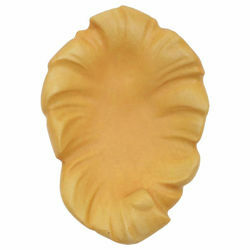 Saviour Nativity Set 8 Pieces - Statues in traditional style in maple wood. 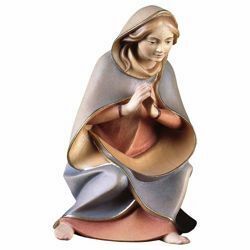 Mary / Madonna - Statue in traditional style in maple wood. 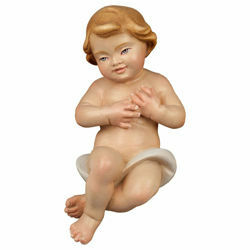 Baby Jesus - Statue in traditional style in maple wood. 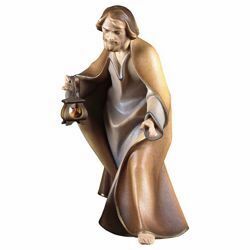 Saint Joseph - Statue in traditional style in maple wood. Cradle - Statue in traditional style in maple wood.